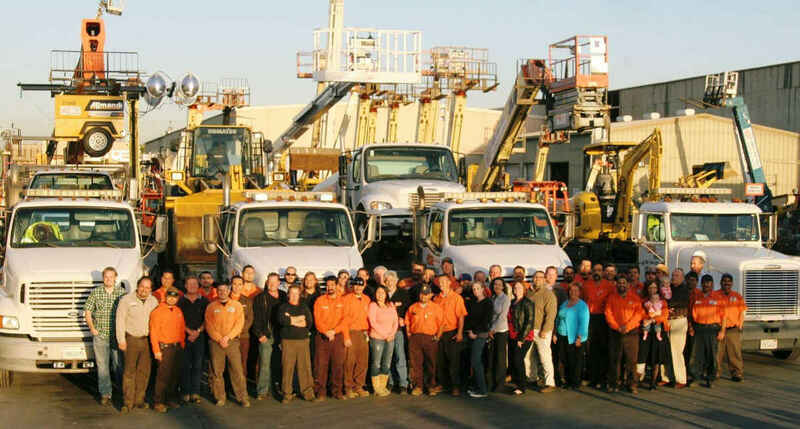 PDQ Rentals was established in 1952 and has grown to become one of California’s largest independent equipment rental companies. With continuous expansion we have grown to over 135 employees and service a large Southern California footprint. Originally starting with a few lawn mowers, trucks, and trailers, our inventory has grown to over 1500 pieces and over $50,000,000 in value. Our fleet is current, updated, and in compliance with California’s stringent environment and safety regulations. We are committed to our employees, local communities, customers, the construction industry, and the environment. Our first facility was opened in 1952 in Norwalk, CA. After opening two other locations we then consolidated and moved to our current headquarters located at 10826 Shoemaker Avenue in Santa Fe Springs. Centrally located 25 miles southeast of Los Angeles and on the outskirts of Orange County, PDQ continually expanded, outgrowing its facility and now encompassing 3 other surrounding addresses. Our headquarters in Santa Fe Springs includes 3.5 acres and over 25,000 sq. feet of warehouse space. In 2013, we opened our Sun Valley (Los Angeles) store to better serve our neighboring cities and to extend our local presence in Los Angeles. In May 2017, we opened our third location in Corona, CA. Easily accessible from the 91 and 15 freeways, our Corona facility helps us better serve our customers and gain additional exposure in the Inland Empire while expanding our service area. PDQ has continually expanded because of the needs of our customer base. We have grown from a rental company into a rentals, sales, and service organization. We are now Los Angeles’ and Orange County’s exclusive Takeuchi dealer and have new machines in stock in addition to an expansive, well-maintained, pre-owned inventory to sell from. Our equipment sales website is located at www.equipmentbyPDQ.com with over 100 listings available for sale. Our primary dealer lines are Takeuchi, Komatsu, Sullair, JLG, Skyjack, Multiquip, Bomag Compaction, Husqvarna, Honda Power, & Stihl. We look forward to providing you many more years of Prompt Dependable Quality and continuing to meet the demands of the construction industry. We not only do our best to meet or exceed your expectations but we maintain our founding fundamentals of being Pretty Darn Quick!! !